An uneasy armistice with North Korea, defeat in Vietnam, post-war violence and chaos in Libya, unacknowledged defeat in Afghanistan, heading for defeat in Syria. 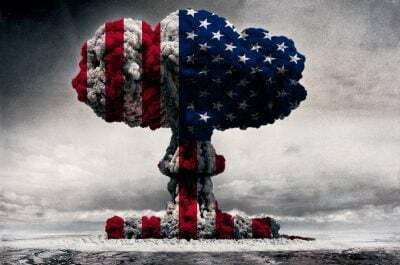 America’s vaunted military knows how to wage wars of aggression, not win them – including time and again failing to win peace, mass slaughter, destruction and chaos its legacy everywhere its killing machine shows up. Its post-WW II record includes an uneasy armistice with North Korea, defeat in Vietnam, post-war violence and chaos in Libya, unacknowledged defeat in Afghanistan with Trump set to announce escalated US involvement, and heading for defeat in Syria. Miles remain to achieve it, things heading in the right direction, a hopeful sign. Assad thanked Russia, Iran and Hezbollah for their invaluable contribution to combatting foreign-supported terrorism. Syria is fighting against and defeating “the fiercest terroristic organizations supported by the strongest and richest countries in the world,” Assad explained. America’s longest war in modern times continues endlessly in Afghanistan, accomplishing only greater carnage and human misery the longer it’s waged. On Monday evening, Trump is expected to announce the deployment of around 4,000 more US combat troops to the country, according to CBS News. The network cautioned that plans could change before he delivers his Monday evening address. He delegated warmaking authority to generals, letting them decide on theaters to engage in, troop deployments and related issues. “I assure you we are with you in this fight. We are with you and we will stay with you,” remarks made to Afghan commandos. Deploying more US forces perpetuates the illusion of a winnable war lost years ago – well known in Washington and the Pentagon without acknowledging it. America targeted the country for its strategic importance, a geopolitical prize, straddling the Middle East, South and Central Asia, in Eurasia’s heartland close to Russia. Afghanistan serves as a US land-based aircraft carrier, part of its plan to encircle Russia and China with military bases. It’s also about maintaining the country as the world’s largest opium producer, used to produce heroin, flooding world markets with it, the CIA and Wall Street profiting from it. It’s virtually inconceivable for Trump to announce withdrawal, ending 16 years of war. It continues endlessly despite being unwinnable – a forever war like in other US conflict theaters, benefitting America’s military/industrial complex hugely, profiting from naked aggression.